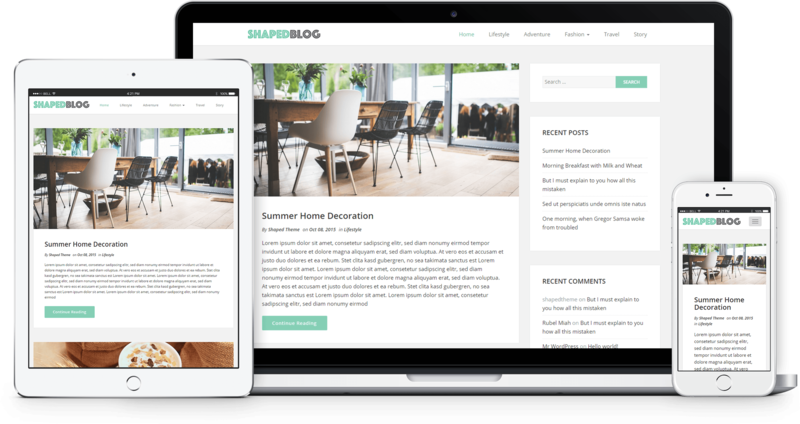 Best Free WordPress Blog Themes may help you awesome to build stunning WordPress blog website within short time just by few minutes installing. 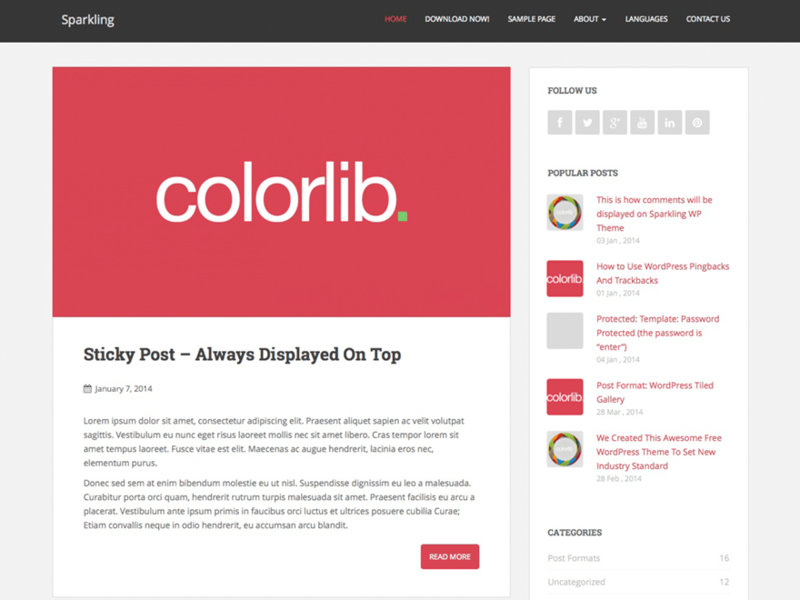 There are many Best Free WordPress Blog Themes, But I’ve collected most impressive free WordPress blog themes list. 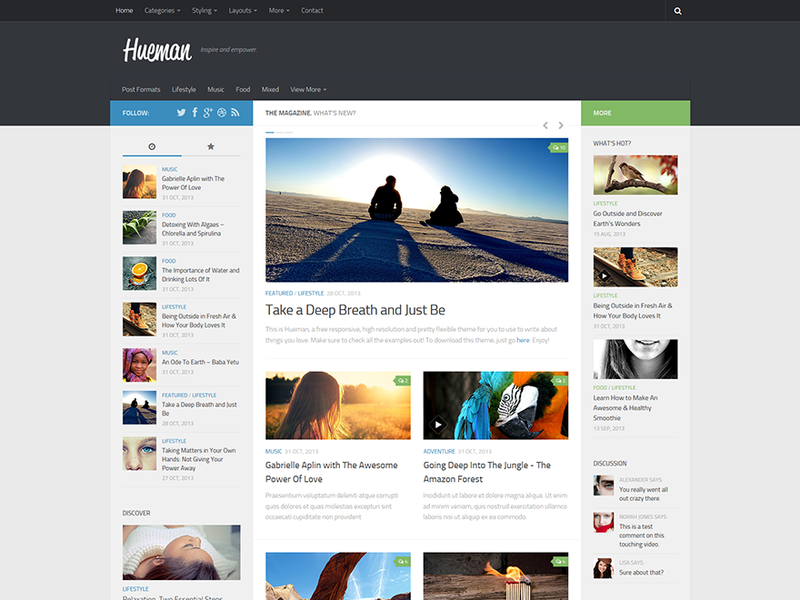 So choose one of best WordPress free theme from my list. 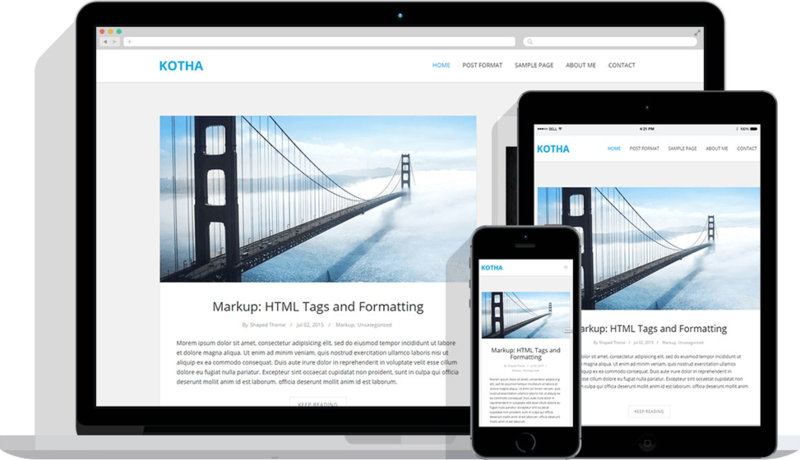 KOTHA is a Free Responsive WordPress Blog Theme with clean and outstanding design. It is highly a customizable theme with powerful theme customizer , unlimited color variations , several widget areas and sidebars that compete with premium theme. It supports four post types and it is built with Bootstrap framework which makes it mobile and tablet view compatible. One can use KOTHA theme in order to make portfolio, business, blog, personal, travel, corporate, business services, app showcase, sales pages and much more. 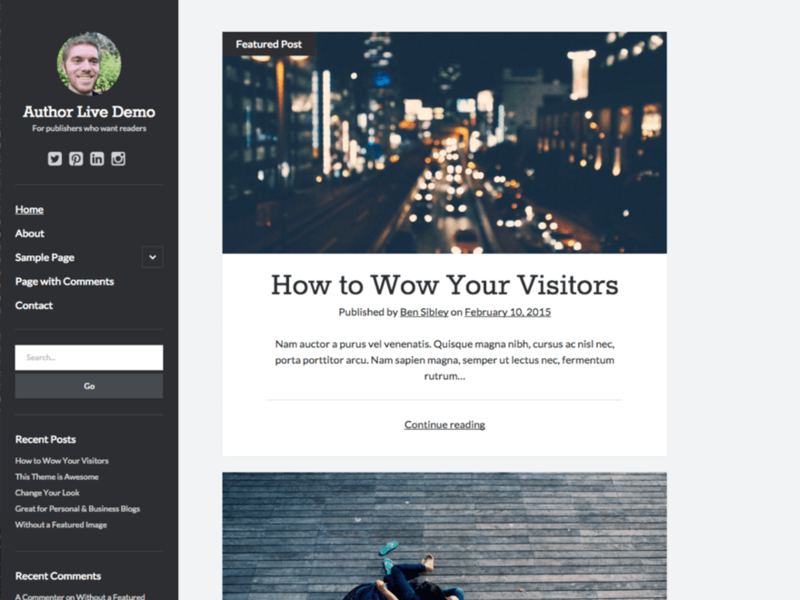 DW Minion is a simple and clean free WordPress blog theme. 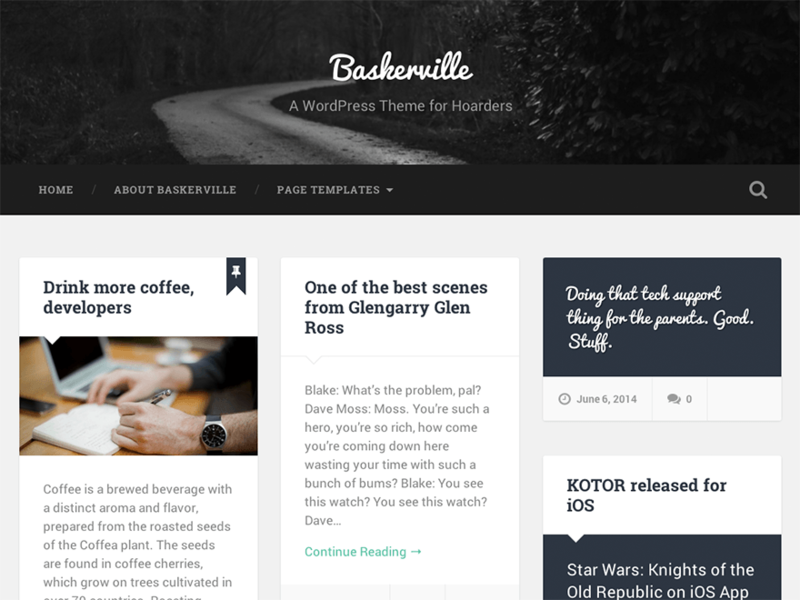 This theme design aims for minimal and simple blog style while still showing off the most of your content. DW Minion supports responsive design. Social sharing is focused and various post formats are supported. 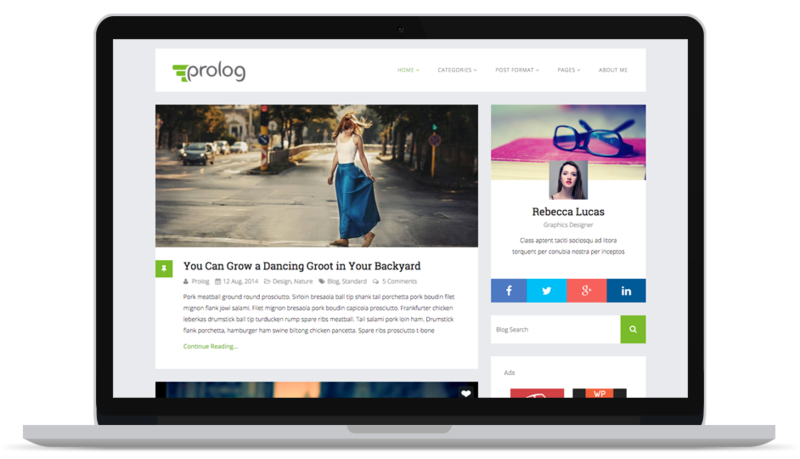 Prolog is a responsive clean and flat design blogging WordPress theme with single classic post style layout for personal and modern bloggers. 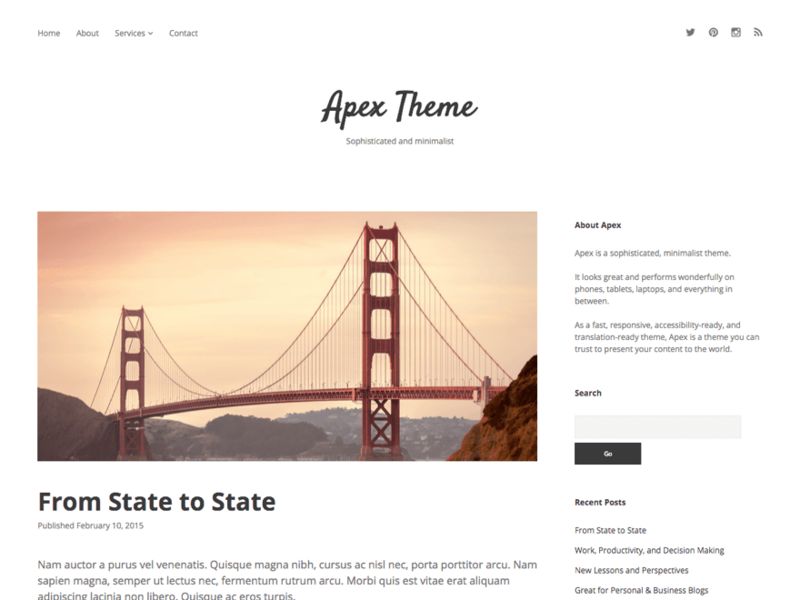 The theme is centered around your blog posts and uses HTML5 & CSS3 code to keep it fast and user friendly. 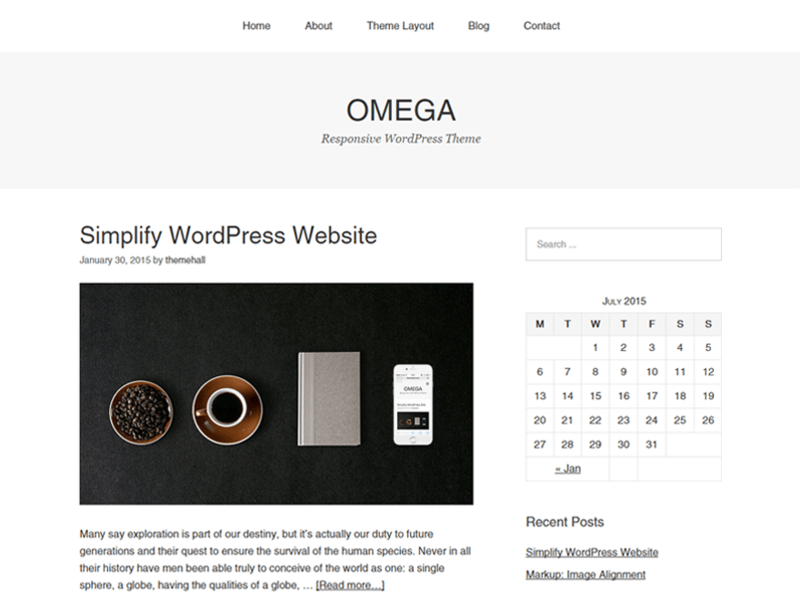 Omega is a Free Responsive WordPress Theme Framework, scalable, search-engine optimized, allowing you to create any type of site you want via omega child theme. 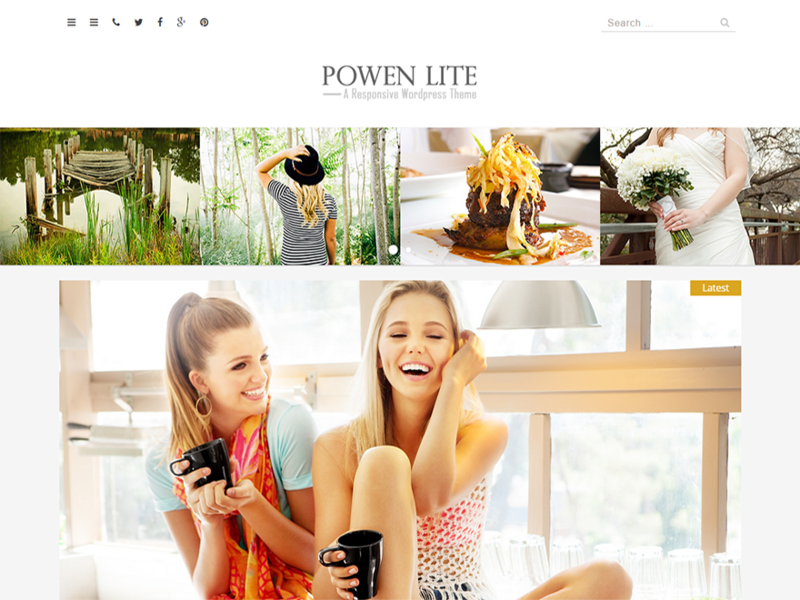 Powen Lite has been specially designed for blogging websites however due to its clean design and plenty of customization options, it can easily be customized for any purpose. Sparkling is a clean minimal and responsive WordPress theme well suited for travel, health, business, finance, portfolio, design, art, photography, personal and any other creative websites and blogs. 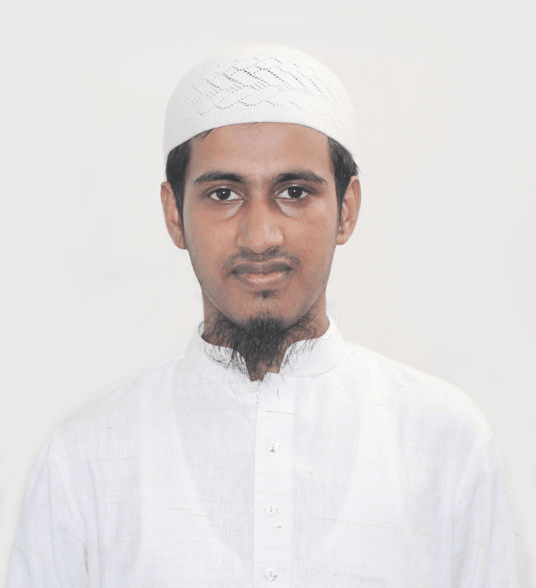 Developed using Bootstrap 3 that makes it mobile and tablets friendly. Theme comes with full-screen slider, social icon integration, author bio, popular posts widget and improved category widget. Sparkling incorporates latest web standards such as HTML5 and CSS3 and is SEO friendly thanks to its clean structure and codebase. It has dozens of Theme Options to change theme layout, colors, fonts, slider settings and much more. Theme is also translation and multilingual ready, compatible with WPML and is available in Spanish, French, Dutch, Polish, Russian, German, Brazilian Portuguese, Portuguese (Portugal), Persian (Iranian language), Romanian, Turkish, Bulgarian, Japanese, Lithuanian, Czech, Ukrainian, Traditional Chinese, Simplified Chinese, Indonesian and Italian. 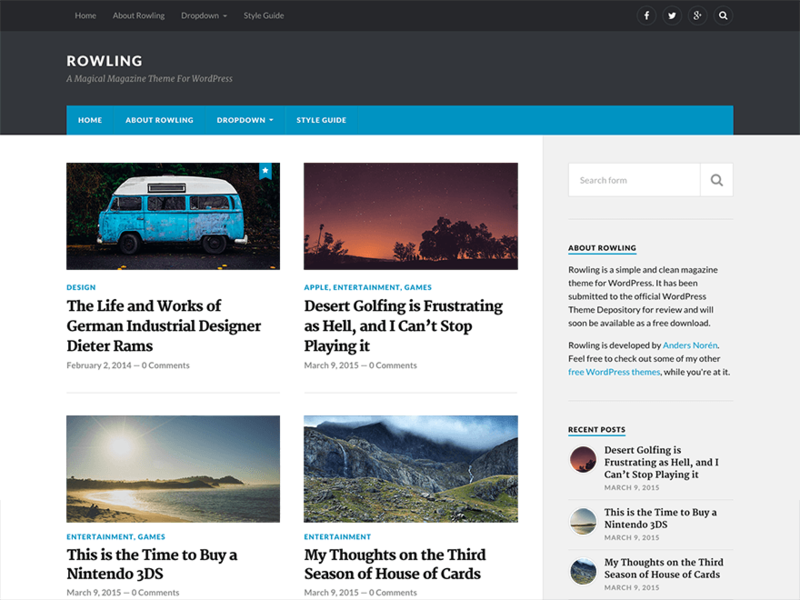 Sparkling is a free WordPress theme with premium functionality and design. 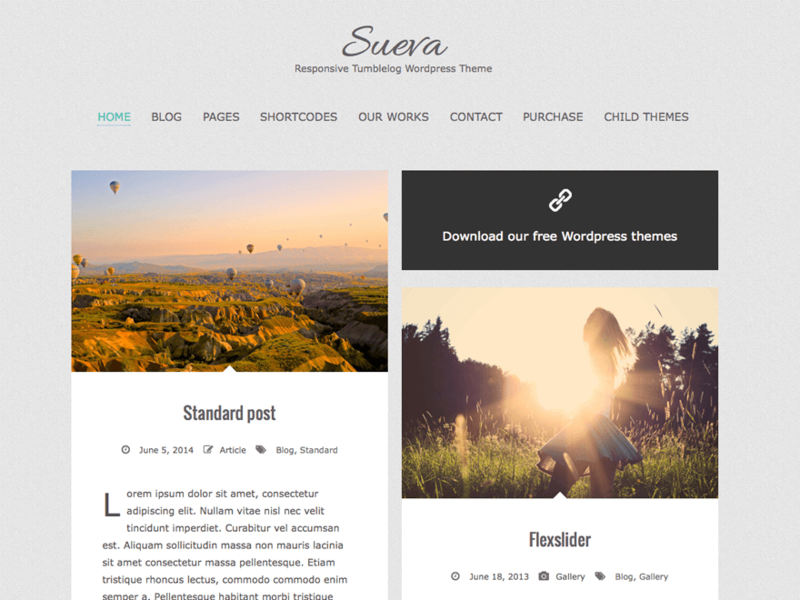 Now theme is optimized to work with bbPress, Contact Form 7, Jetpack and other popular free and premium plugins. 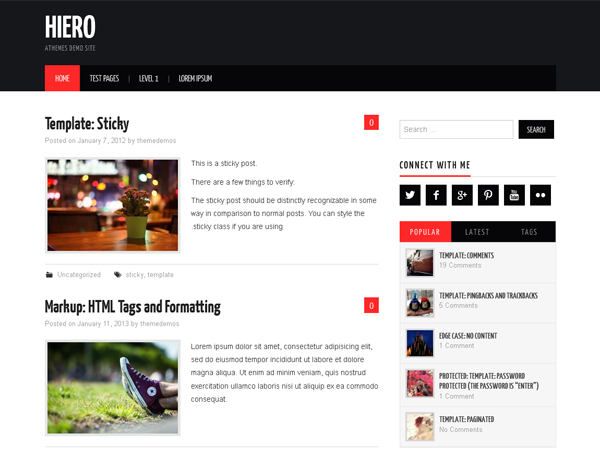 Hiero is an awesome magazine theme for your WordPress site with bold colors and a clean, simple design. Its features include a responsive layout, post thumbnails support, threaded comments, and more. 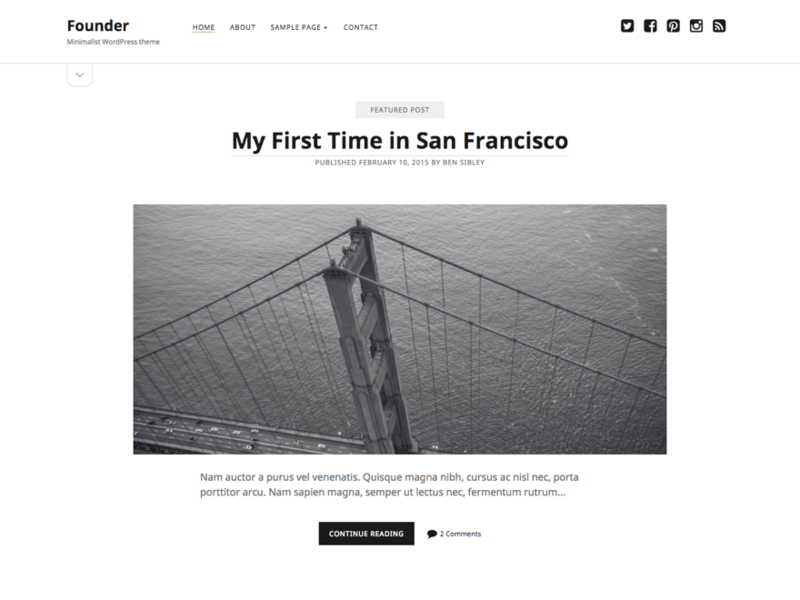 Founder’s minimalist style presents your content in a way that is both bold and professional. As a responsive theme, Founder is beautiful on phones, tablets, and laptops, and is optimized to load quickly on each. Built with Google’s multilingual font, Noto Sans, it is compatible with hundreds of languages. Lastly, as an accessibility-ready theme, visitors around the world can appreciate your content regardless of disability. Get excited to share your site, and download Founder today. Author is designed for publishers who want readers. That’s why Author is fast, responsive, accessibility-ready, and optimally designed for reading. All scripts and stylesheets are minified, concatenated, and conditionally loaded to maximize performance. The layout adapts fluidly to all screen sizes to enhance usability. As one of few accessibility-ready themes, it performs well for users with wide ranges of disabilities. Lastly, based on the ancient Van de Graaf canon, Author is optimally designed for reading. Author is the theme your content deserves.